Talents Hunters is a Middle East based recruitment guru with its vast network spanning across all Middle Eastern countries. 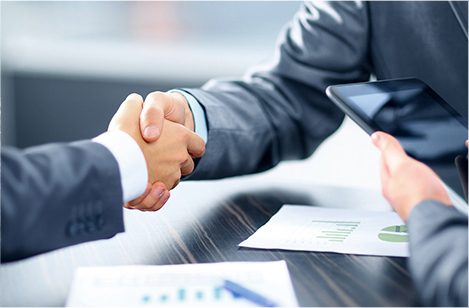 With a strong commitment to both employers and employees Talents Hunters is a one of kind recruitment agency. With a huge pool of candidates along with a database of thousands of curriculum vitae, Talents Hunters provides your business with the best compatible candidate. Talents Hunters strongly believes that an organization’s success comes from its esteemed employees who perfectly match the specific skills of a particular job and both employers and employees are satisfied. 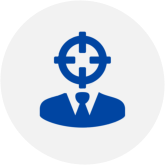 Our researchers and analysts have spent years in developing the perfect matching algorithms that helps us select the best candidate for any particular job. 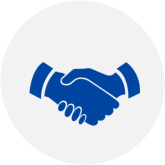 Our primary objective is both employer and employee satisfaction and achieving all the factors that contribute towards the perfect working relationship. Whether you are a recent graduate looking for a job or someone with decades of experience looking for a new and interesting career path then you have come to the right place. Talents Hunters has a team of highly qualified career counselors with years of experience in vast industries to help you in selecting the best career path. Over the years our counselors have come across many cases of unsatisfied employees with one common factor, they are not happy with their career path and don’t know how to move towards a better and desirable field. Talents Hunters career counselors have spent years on finding the solution to this problem and we believe that the key is to weigh in all the factors of the organization, job and the candidate. Once all requirements are on the table the compatibility of any job with a candidate becomes easier and we are thus able to provide the ideal candidate for the job. Talents Hunters has a broad network of employers and employees all over the Middle-East and globally. 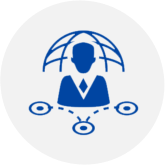 Our clients trust us because of our competitive and unmatched service, extensive network, huge pool of candidates and best customer care and support. Talents Hunters is always looking for partners for its ever increasing network and we invite you be a part of the future. Simply send us an email or contact us through telephone and become a part of the no. 1 recruitment agency in the Middle East. TalantsHunters was an amazing help to us as they were very professional in their dealings and provided support throughout the whole process. We were amazed to see a simple solution to our recruitment problem. We just gave Talents Hunters a call and they did all the work. They are the perfect Recruitment partner for our company. Talents Hunters actively participates in HR events globally. Our team of recruiters, analysts and consultants enthusiastically contribute to human resource conferences and panels. Moreover we are able to keep ourselves up to date on the latest trends on Human Resources. At this summit Senior HR personnel come together to discuss the prevailing practices in HR and discuss their experiences in the field of Human Resources. The event will be held the first week of October in Barcelona, Spain. Every year UAE hosts a job fair where recruiters from thousands of different companies in the gulf attend. Hundreds of thousands of candidates apply every year and many companies conduct on the spot interviews and tests. The CIPD is a professional organization that is dedicated towards the advancement and development of Human Resources globally. They offer certifications and training to HR personnel across the globe. There are many events that CIPD hosts all year around. According to Monster.com index the online job posting in UAE have surged by 26% in July 2014 with the biggest employment opportunities in banking, investment and insurance sector. Moreover an increase in employment opportunities was seen in construction and real estate. The index released also revealed that overall there was an 11% increase in job posting around middle-east. 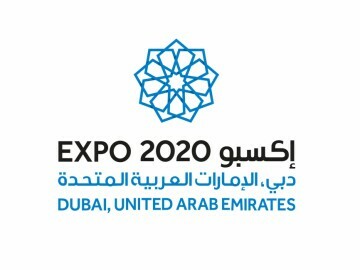 Dubai Expo 2020 preparatory committee earlier in the first quarter of 2014 announced that the Expo site will be completed by 2019 with complete readiness. The expo site is a large area of over 438 hectare with 150 hectare of gated community, hospital and logistics site.